Tiered Pricing is a means of providing products or services at different price points. 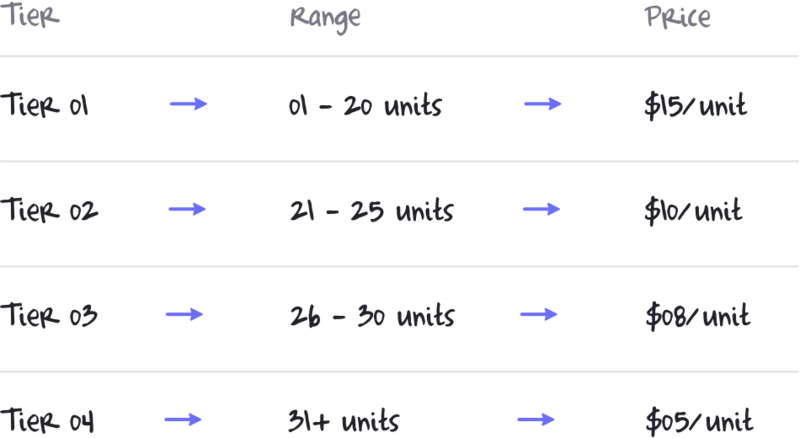 In this type of pricing model, the product rates are bundled into separate pricing tiers. Once a tier is filled up, the product will move to the next tier and a different price will be charged. If you're looking to set up Volume Pricing, please refer to our guide here. 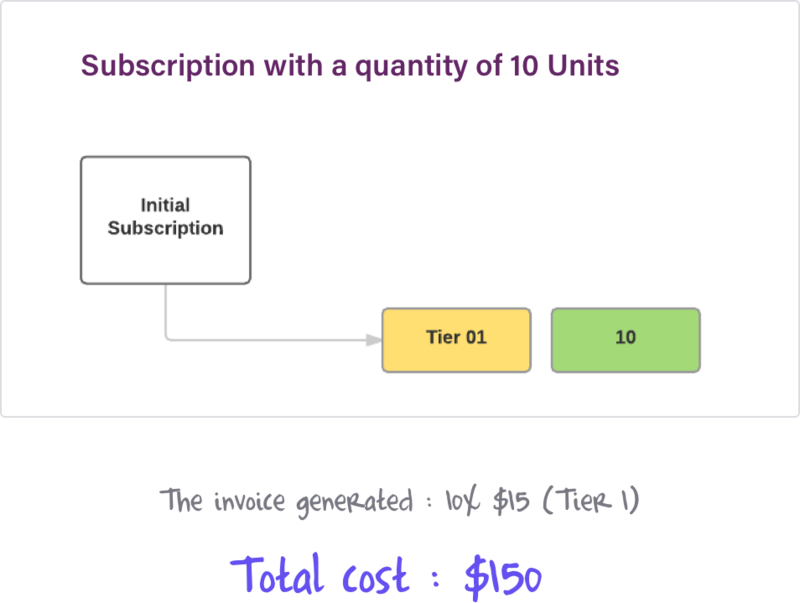 When a Subscription is created with a quantity of 10 units, all units will be charged $15, as the number of units would fall in the Tier 1 range. 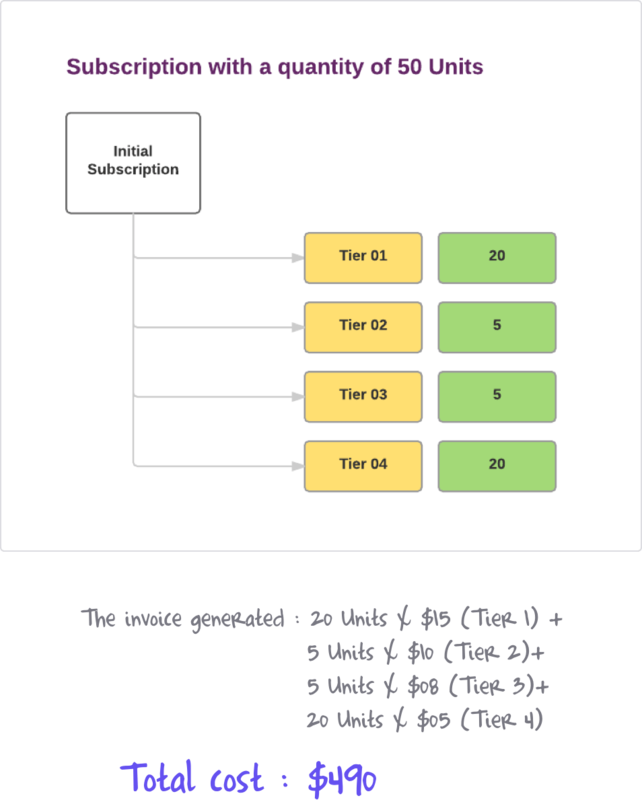 When a Subscription is created with a quantity of 50 units, the price would be calculated across all four tiers. 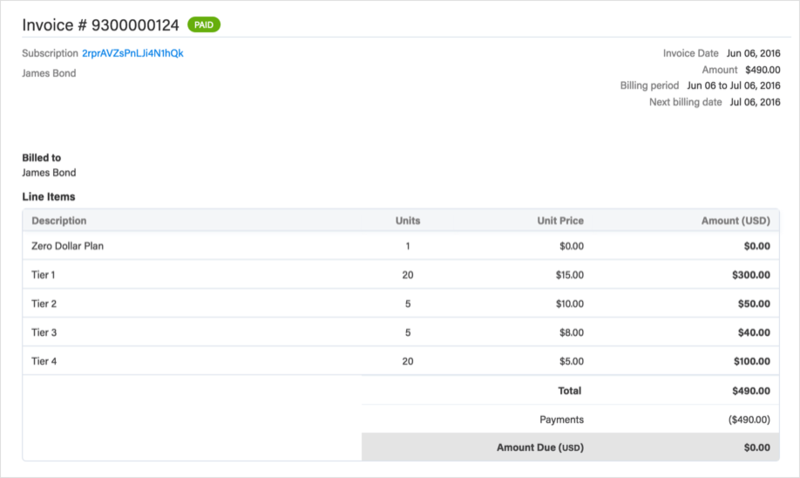 Here’s a quick guide on how to set up Tiered Pricing using API and JSON payload. Create a $0 Base Plan (e.g. Plan name Cloud Server) with Flat Fee pricing in your Chargebee site. The only purpose of this Plan would be to define the billing frequency of the product (monthly, quarterly, etc.). Create a Recurring Addon (quantity based) for every tier as shown below. Ensure that the Addon frequency matches the frequency of the Plan. Add the JSON Meta data to the $0 Base Plan. Chargebee has the Meta data feature that can be used to store additional data at different levels (Plans, Subscriptions, Customers etc). Add JSON Meta data to the $0 Base Plan, to establish a relationship between "the unit range and the Addons. 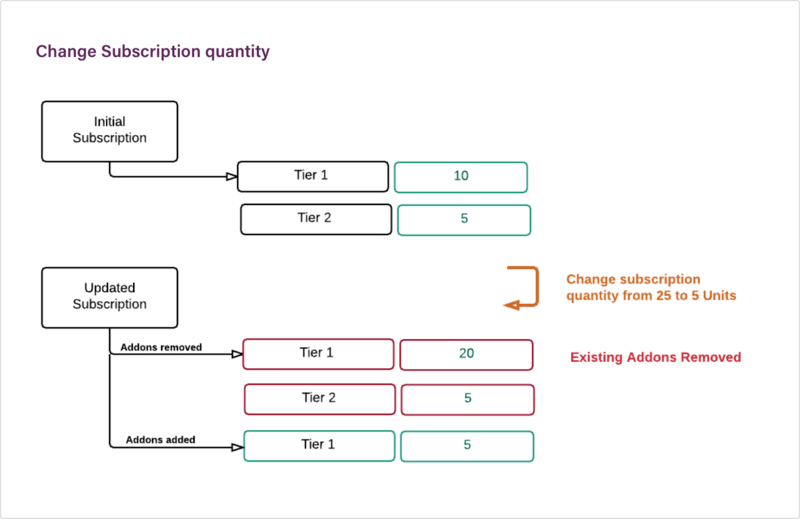 Based on the Plan’s metadata, pick the appropriate Addon(s) and create the Subscription with the required range. The Plan’s metadata can be queried before Subscription creation to receive the Addon and Tier details. When a Subscription’s quantity has to be changed, you can create the new set of Addons using the Update Subscription API. A Subscription is created with a quantity of 25 units. The price for this, hence, will be calculated using 2 tiers. In this case, call the Update a Subscription API with replace_addon_list parameter set to true and pass the Addon quantities as per the change in Subscription. Note: Ensure that other Addons belonging to the Subscription are not removed in this process.